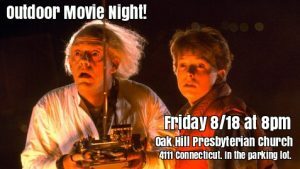 Join us this Friday for Open Gym night at 6:30 and stay for our Outdoor Movi e at 8pm. Bring a friend! Bring a chair! 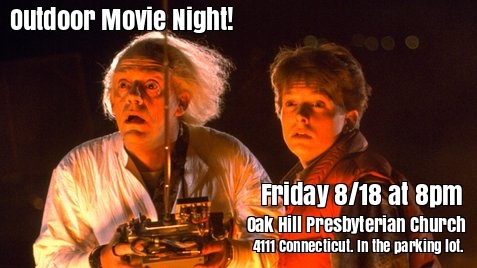 We’ll provide the snacks, games, and fun! We’d planned to show Back to the Future earlier this summer, but were rained out! So this time, the fun is ON!